More than ever, the world needs bold ideas for reducing emissions and transitioning to renewable resources. A recent Intergovernmental Panel on Climate Change special report stressed the need to cut global emissions by 45 percent by 2030 to minimize the risk of irreversible changes to our environment. The good news: Bold ideas are brewing. AI is helping optimize building energy use. Blockchain should soon allow energy “prosumers” to buy and sell electrons. And EV’s will be doubling as storage capacities to help stabilize electricity grids when the demand for energy peaks. Funding for clean energy companies has reached $7.5 billion in the first nine months of 2018, which means the year is on track to be the strongest for investment and innovation since at least 2011. As the impacts of climate change and other macro trends such as urbanization continue to grow, new products and business models are the key to a more stable, sustainable energy future. Now is the time to go all in on innovation. 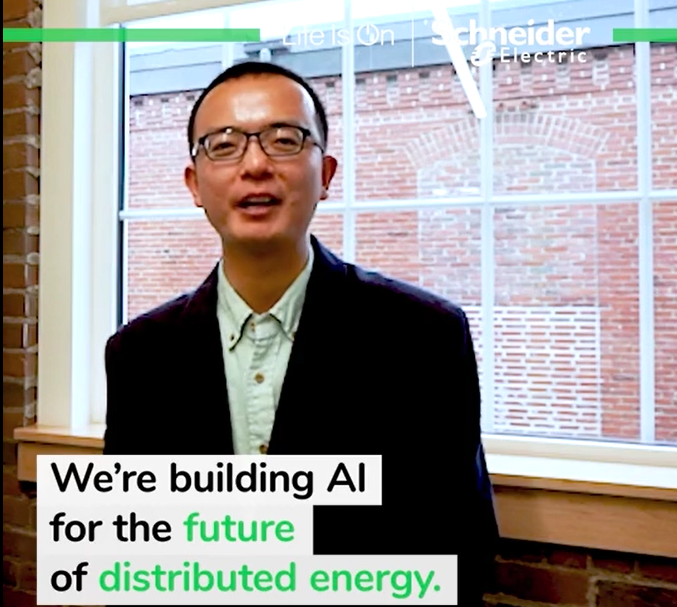 At Schneider Electric, we are supporting the transition to a digitized, decentralized and decarbonized energy landscape. We provide needed capital and resources to accelerate worthwhile ideas — whether they’re our own or not. In this way, we can galvanize energy innovation around the world. For example, we’re partnering with venture capital firms Energize Ventures, Clear Vision Ventures, Stalagnate Capital and Work-Bench to support the development of digital solutions — such as automated energy transaction settlements and real-time cyber security — that drive affordability, reliability and security for energy and industry. Our investment in Clipsal Solar™ will also enable homeowners in Australia to use solar energy while reducing their utility bills. And we are working intensively with eIQ Mobility and DST to create new solutions for electric fleets charging. We also recently teamed with Greentown Labs, the largest cleantech startup incubator in the U.S. to host a Bold Ideas Challenge. Innovators from across the globe were encouraged to submit proposal for new technologies, processes and business models that could transform the way humans use energy. The challenge generated 155 applications and four promising ideas were selected to enter a 6-month accelerator program that includes grant funding, along with assistance from Greentown Labs and Schneider Electric. The winning concepts include electricity transmission to promote clean energy access, distributed energy networks, high-efficiency off-grid solar charge controllers and advanced battery management systems. With technology and services that range from our EcoStruxure platform to solar and energy storage, to advanced microgrids, to renewable energy power purchase agreements, our own portfolio is oriented around innovation too. And whether fostering entrepreneurs or our own engineers, we have learned some vital lessons along the way. There is more to evolving an industry than a good idea; execution and speed to market are equally important. No single company or person can know everything; it’s better to take a collaborative approach. Look for great ideas within and partner with startups, early stage companies, incubators, students and more. Don’t expect quick returns and be ready to take risks. Innovation is a long game, and while many ideas fail, some will not. Be prepared to stick it out and tolerate failure. Encourage employees to think like entrepreneurs. Employees in big companies need to be customer-focused, self-starting, and encouraged to take risks — in every department. You never know where brilliance will emerge. Large companies can have layers of bureaucracy that bog down promising projects. Encourage the nimbleness needed to be innovative and quick to market. Provide resources, not red tape to new ideas. Great ideas come from unexpected places, and we challenge you to re-think what will be needed in a digital world where efficiency is paramount, energy is bi-directional, and opportunities are endless. If you have a bold idea and you think Schneider Electric can help you bring it into being, email us . Learn more by joining our virtual North America Innovation Summit on November 13 & 14. Disrupt or be Disrupted: Innovation for the Sake of Customers The Secret to Agile and Efficient Innovation Innovation at Every Level Did I see you at the Paris Global Innovation Summit?